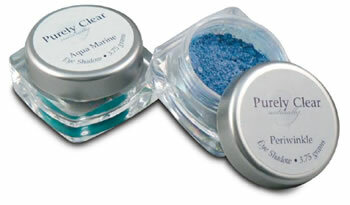 Purely Clear's Eye Shadows are hypoallergenic, long lasting and can be applied dry for a subtle color or wet for a bolder look. The eye shadows can also be used as an eyeliner by applying on the eyelid with a moistened eyeliner brush. With the variety of colors it's easy to go from a soft, natural look to bold and sassy.